Should Christians Worry About Being Politically Correct? Unless you’re living under a rock, it is hard to get away from the constant banter of politics. This banter has become progressively more outrageous with each passing election cycle. Likewise, there is a constant barrage of speeches, news reports, and outrageous by people of all political spectrums. With this, there is a constant defining and redefining of what is right and what is wrong along with what can be said and what can’t be said in an effort to make political opponents look like racist, godless, hate mongers. This leads some to wonder if Christians should worry about being politically correct. Simply stated, political correctness is a perceived hypersensitivity or offense to something that someone says or does. In addition to using political correctness to demonize someone, it is also used to limit discussion on sensitive issues or to stifle criticism from a political opponent. In many cases, people use the notion of being publicly offended along with feigned outrage as a way to gain support in labeling or judging the motives of someone’s heart. This leads to a notion that certain topics are off limits or have only politically correct or acceptable standards or else the person who varies is marginalized in anything they say or do and their motives are misrepresented. Many people believe that political correctness is appropriate to use, especially if it gives someone an advantage over another person that they might not otherwise have because of their inability to convince people that their opinions and ideas are superior. Therefore, if you paint your opponent as someone who is evil and offensive, then you never have to debate them on the merits of their opinion. Some people believe that political correctness is a relatively modern invention. Nothing could be further from the truth. In fact, when it comes to American politics, political correctness has been used extensively throughout the nation’s history. It was not uncommon for politicians to accuse other politicians of being unfaithful to their wives, fathers of illegitimate children, or drunks that made them unfit for office. In fact, political cartoons got their start in American politics as a visual way of portraying political and public figures to reinforce the accusations. Ephesians 4:1-7 – This passage teaches that believers should live their lives in a way that demonstrates that they are children of God. Primarily, it teaches how we should humble ourselves with meekness and patience as we demonstrate our love for others by a esteeming them better than ourselves (See also Philippians 2:1:16). It promotes a peaceful unity through the idea that we are all one as brothers and sisters in faith by the grace that God has given each one of us not as opponents to be publicly marginalized and disrespected. Ephesians 4:11-12 – This passage teaches that God gave certain roles in the body of believers for the purpose of teaching the believers how to come together in unity and grow in our knowledge of Christ so that we would become more like Him. Likewise, these roles were given so that believers would mature when it comes to doctrinal issues so that they are not easily deceived. Again, we see a promotion of peaceful unity as brothers and sisters in Christ. These roles were performed in a servant-like spirit or respect. Ephesians 4:15-28 – This passage teaches how we should communicate and behave. We are told to speak the truth in love and not adopt the practices of nonbelievers. We’re also admonished to “put off” our old ways of doing things based on selfish lusts and to “put on” the “new man,” which is created in righteousness and true holiness. It adds, that we should not lie to one another, but instead, we should speak truth to one another and never allow anger to faster into sin. Finally, we are instructed that if we are a thief we should work with our hands so that we can earn a living and provide for others. Ephesians 29-32 – Finally, this passage speaks directly about how we should communicate with one another. It tells us that we should never allowed corrupt communication to come from our mouths, but instead, say things that build up and minister grace to others. Likewise, we are not to say or do anything that would grieve the Holy Spirit, Who seals us until the day of redemption. This teaches us that our standard of how we communicate and how we portray others should be based on the example that God provided to us through Jesus Christ and the leading of the Holy Spirit. It concludes by telling us that we should put away all bitterness and wrath and anger and evil speaking that is motivated by bad intentions. Instead, we should strive to be kind, tenderhearted, and forgiving of one another because God did the same for us through Christ. Political correctness is a perceived hypersensitivity or offense to something that someone says that is used to alter or ruin the reputation of another person so that people will marginalize them. Political correctness has been used extensively throughout history. Political correctness is a blatant contradiction of the teachings of Scripture, particularly in Ephesians 4 as well as many other places. Christian’s should consider what they do and what they say in the light of Scripture, not in the opinions of those who advocate things that are against Scripture, Therefore, Christians should not worry about being politically correct, they should boldly focus on being Biblically correct. 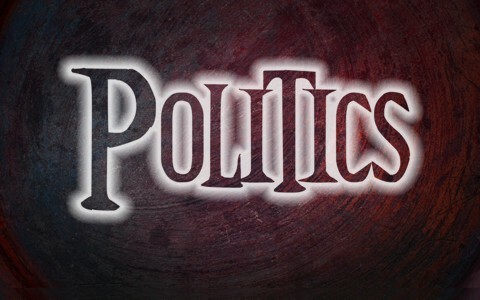 Take a look at this related article: Should Christians Get Involved in Politics? Next post: What Are The Gates Of Hell? What Does The Bible Say?